Success! 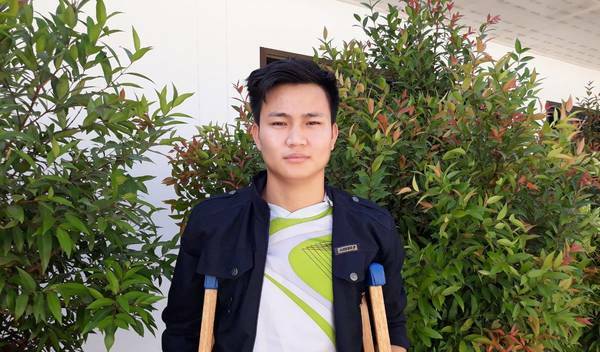 Saw Shine from Burma raised $1,500 to fund fracture repair surgery. 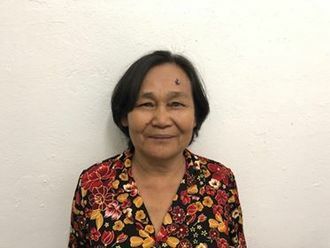 Saw Shine's treatment was fully funded on March 26, 2019. Saw Shine underwent fracture repair surgery. Since he received treatment, Saw Shine feels like his leg has improved significantly. Saw Shine is a 23-year-old student from Burma. He lives with his parents in Htee Thae Lay Village, Hpa-pun Township, Karen State. His parents work as farmers, planting beans, tobacco and vegetables on their small farm. In his free time, he loves to play football or help his parents on the farm. On April 27, 2018, a branch fell on Saw Shine’s right leg and broke it. At present, Saw Shine cannot walk without crutches. He feels a lot of pain when he tries to walk. With the help of our medical partner, Burma Children Medical Fund, Saw Shine will undergo surgery to reset his fractured bones and ensure proper healing. The procedure is scheduled for February 20 and will cost $1,500. 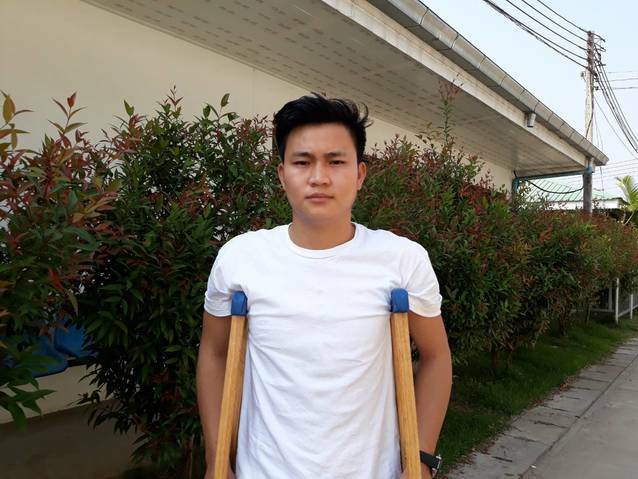 He will be able to walk properly and also able to study again. Saw Shine's case was submitted by Bue Wah Say at Burma Children Medical Fund in Burma. Saw Shine was submitted by Bue Wah Say, Project Officer at Burma Children Medical Fund, our medical partner in Burma. Saw Shine's profile was published to start raising funds. Saw Shine received treatment at Mae Sot General Hospital. Medical partners often provide care to patients accepted by Watsi before those patients are fully funded, operating under the guarantee that the cost of care will be paid for by donors. Saw Shine's treatment was successful. Read the update. Saw Shine's treatment was fully funded.